Levi had a little trip to the hospital in the ambulance on Friday (hence no joy post). He had a bad case of croup which after some medication, was back to good health, thank the Lord. I was so glad we were visiting family in a big town and not our usual remote lodge! The paramedics were so wonderful, and gave him a little Canadian beaver for his ride and to take home. 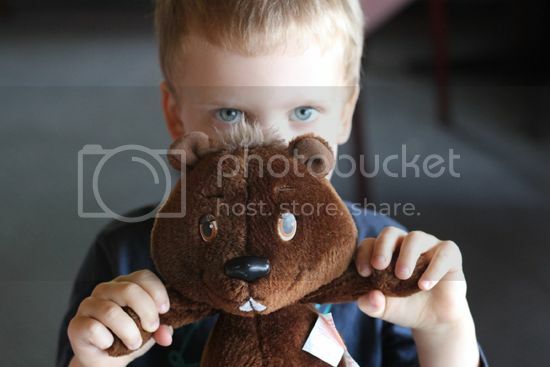 He is now a firm favourite and has officially been named "chompy" the beaver! Funny guy.